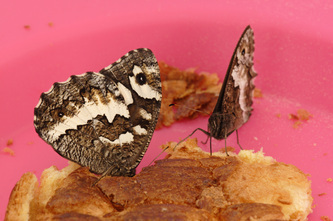 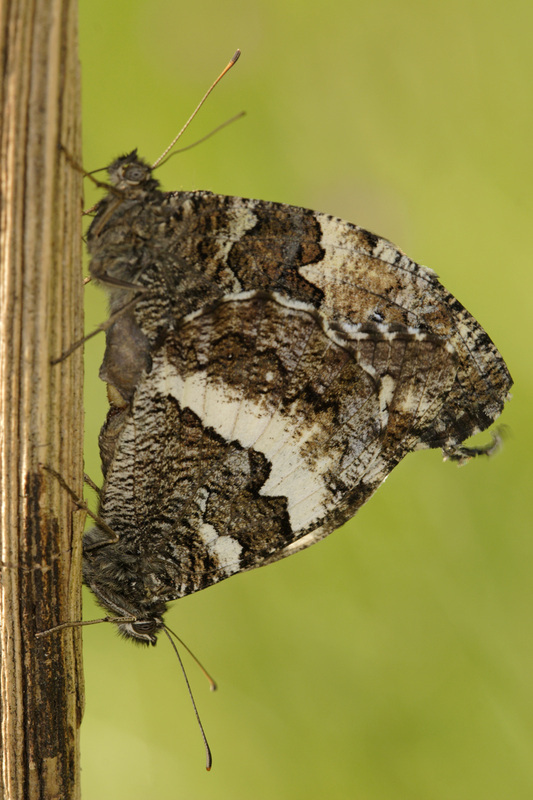 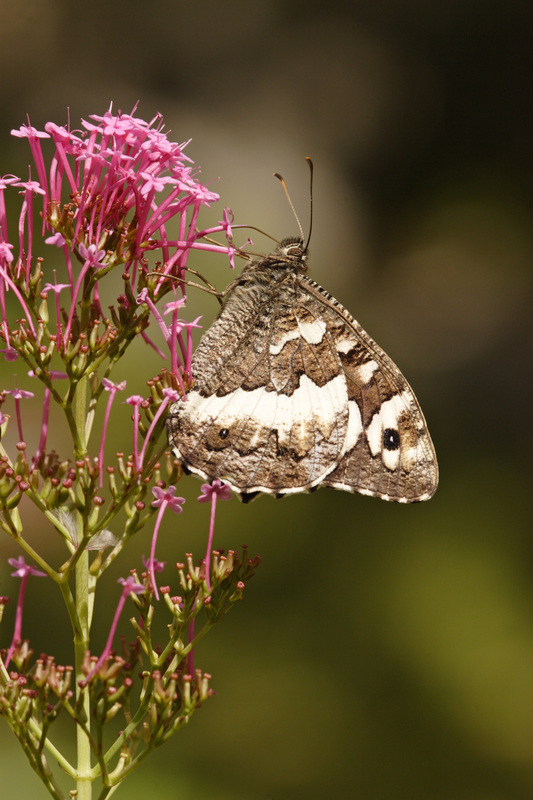 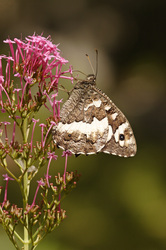 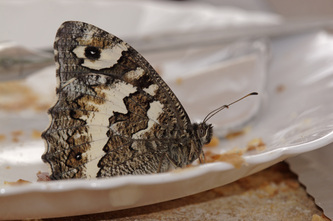 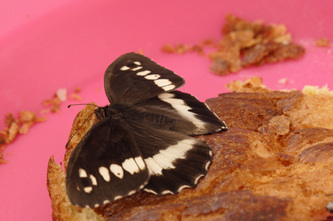 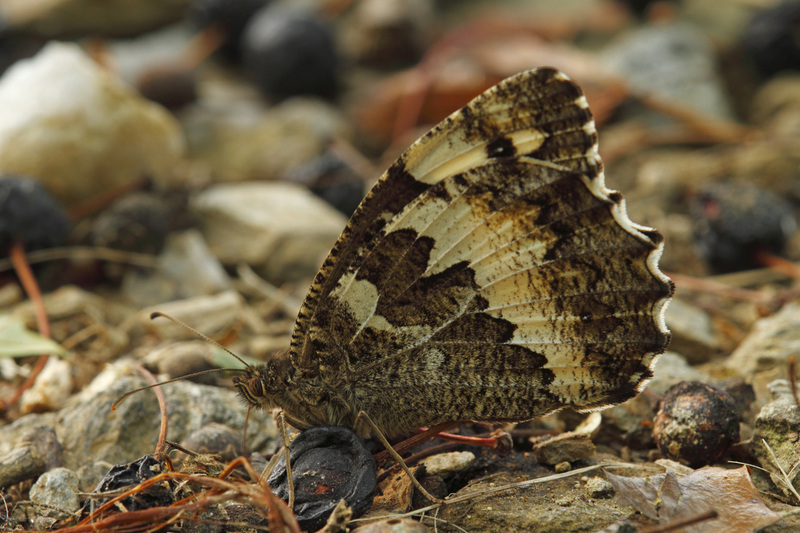 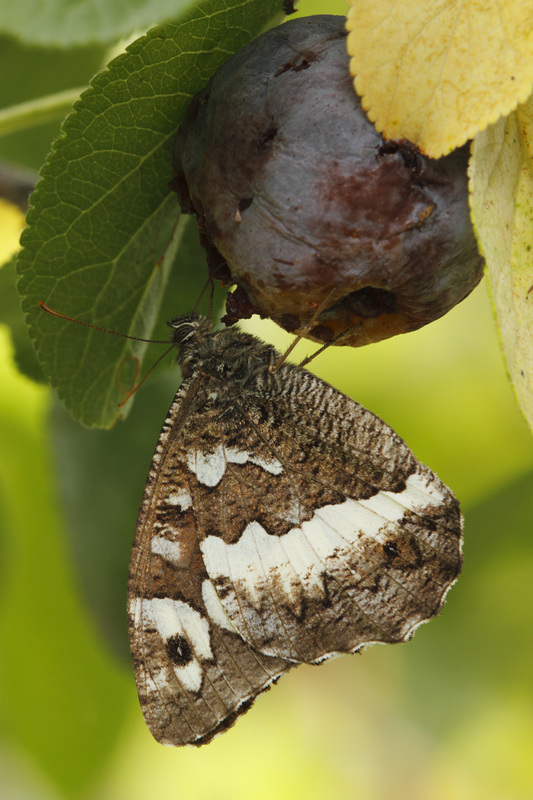 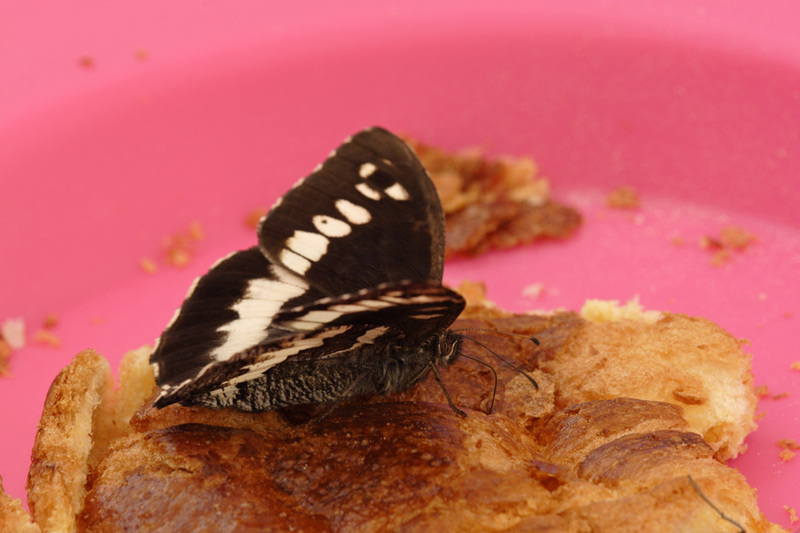 The uppersides are sooty brown or black in both sexes, with a bread white post-discal band on each wing. 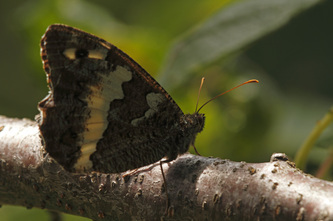 The band is more or less broken into separate patches on the forewing and the anterior patch contains an eye-spot which is often blind. 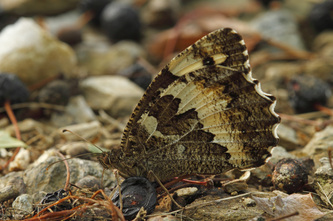 The undersides are brownish grey with post-discal bands like those on the upperside. 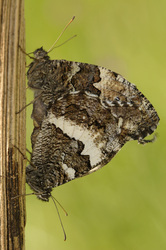 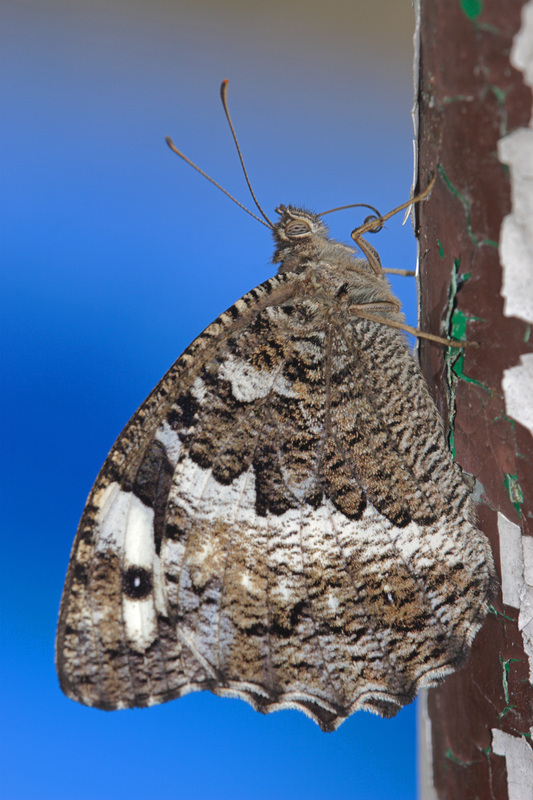 There are also two white patches in the forewing cell, and an incomlete white band in the basal half of the hindwing. 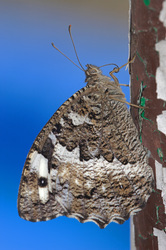 The apical eye-spot on the forewing usually has a white pupil on the underside. 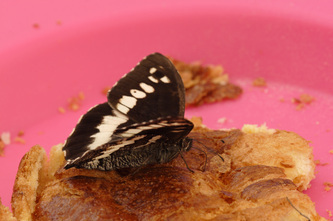 Flight from June to September in rough grasslands. 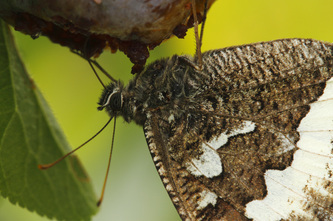 The larval foodplants are bromes and other grasses.